A number of cinema’s greatest directors are famed for their debut feature-length films. Among them are some personal favourites: The Maltese Falcon (John Huston, 1941); À bout de souffle (Breathless – Jean-Luc Godard, 1960); Play Misty for Me (Clint Eastwood, 1971); Reservoir Dogs (Quentin Tarantino, 1992) – the list goes on… None of the above come close – at least in my own estimations – to François Truffaut’s Les 400 Coups (The 400 Blows). The film is largely autobiographical. Through the character of Antoine Doinel (Jean-Pierre Léaud), who would figure in four further films charting the director’s life, Truffaut recounts the difficulties of his upbringing as a troubled, and at times troublesome, young adolescent in Paris. Truffaut was born in 1932. A part of his childhood was lived under Nazi occupation but a turbulent family life had more of an impact on his upbringing and informs the subject matter of his first film – as well as many others. His mother, at 19, had wanted to have an abortion, but was persuaded otherwise by François’ grandmother, whom he would live with until he was ten. Upon her passing, he went to live with his mother and step-father. Les 400 Coups (a French expression meaning to “raise hell”) is as much an indictment of neglectful, or entirely absent, parenting as it is of youth delinquency. Indeed, the representation of Antoine’s shameless, unfaithful mother (Claire Maurier) caused a deep rift in the Truffaut family. Whilst Antoine (and therefore the director) is certainly not blameless, many of his actions are dictated by necessity. He is a victim of circumstance. There is no doubt as to where our sympathies lie or to where we apportion blame. Along with – but not alongside – Godard’s À bout de souffle, Les 400 Coups is the standard-bearer of the French New Wave; a movement which would forever change the cinema. Perhaps its most significant innovation was the development of auteurism – a notion that the director of a film is also its ‘author’ and ultimate creative voice. 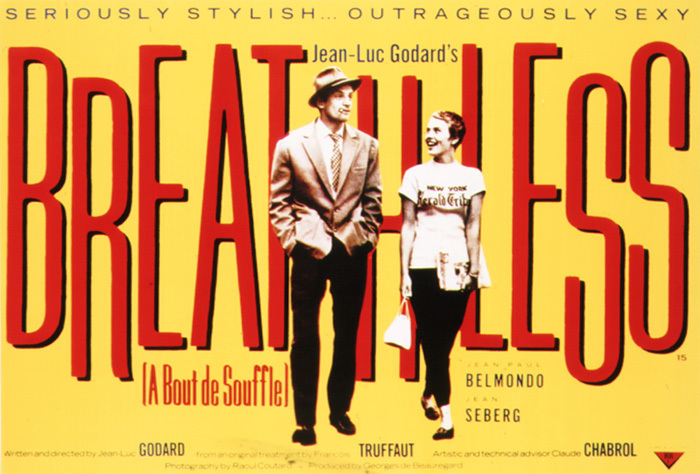 Common themes, technique and style could then be seen from one film to the next as the oeuvres of Truffaut, Godard and their contemporaries each developed a certain continuity. The fledgling brotherhood of filmmakers also supported one another by whatever means possible. In an attempt at reconciliation after one of Antoine’s indiscretions, his parents take him to the cinema where they see Paris nous appartient (Paris Belongs to Us) – a Jacques Rivette film from 1957 – and schoolmaster Guy Decomble is heard chastising a certain “Chabrol” in the playground for bad behaviour. Subtle nudges and winks from Truffaut to his fellows. Truffaut and Léaud, a striking resemblance. The idea of the ‘caméra stylo‘ (camera pen) pioneered by Alexandre Astruc proposed that the cinema was becoming a language, a means of expression – like the essay or novel. It would move away from being a purely visual medium and become ‘a means of writing just as flexible and subtle as written language.’ Led by the visionary André Bazin (who tragically passed away on the first day of shooting and to whom Truffaut’s film is dedicated), the critics-turned-directors – Truffaut, Godard, Chabrol, Rivette, Rohmer – of the renowned film publication Cahiers du Cinéma paired Astruc’s principle with their extensive knowledge of film history to transform the tired, predictable production-line of French cinema of the post-war period to something a lot more like real-life; shooting on the streets of Paris quickly and freely without the need for high production values as had become the norm. 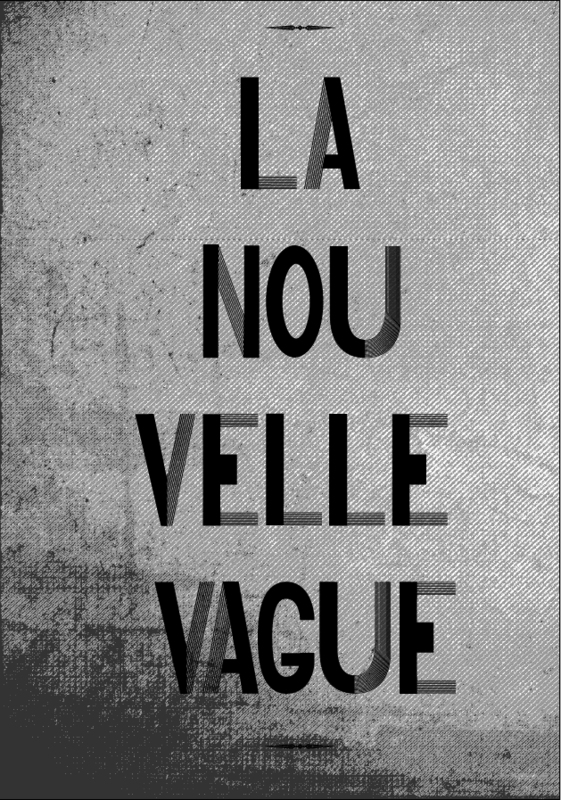 The opening sequence of Les 400 Coups exemplifies this. Shot from the back of a car, the Eiffel Tower is glimpsed intermittently behind and between other buildings. A sense of place is made but more important is the freedom and opportunity offered by Paris’ streets as Henri Decae’s camera glides through the French capital. In contrast to the restriction and claustrophobia of the schoolhouse or the cramped apartment that Antoine inhabits with his parents, he and best friend René find freedom and fulfillment in free-wheeling from cinema, to arcade, to fairground and beyond. René’s character is based upon Truffaut’s life-long friend and confidant Robert Lachenay. The two boys grew up in Pigalle, an area of Paris that is now a red-light district but which was home to many cinemas during their formative years and where they fed their cinephilia. In the film it is René that proposes they play truant to be able to spend the day roaming the streets of Paris; the pin-up calendar that Antoine is caught with in class is not his but he takes the rap; after he comes home, lays the table and stokes the fire, his mother sends him out to buy flour for dinner, to take out the rubbish and afterwards straight to bed which prevents him from completing his homework; the piece of Balzac which inspires him and he learns by rote lands him in plagiaristic hot water. Bad luck all round. Antoine has no control when spun round by the centrifugal force of the dizzying fairground carousel, and neither does he seem to over his life. He is happy to go along for the ride but unfortunately pays the price for not knowing to say no when he should and for lying when he should come clean – on several occasions. Significantly, it is in this scene that Truffaut chooses to make his cameo appearance, entering the carousel behind Antoine – together both men are caught in its powerful grip. The wily René, whose father gambles and whose mother drinks, knows all the tricks of the trade to be able to get away with misbehaving. Antoine does not. There is no malice to his actions whatsoever, he is simply misunderstood by those who are meant to protect him but take little interest in doing so. When interviewed on Les 400 Coups Truffaut commented that in his teenage years he felt much like a man already, and so does Antoine in his early adolescence. With no guiding influence from his rudderless parents, bored by mundane dictations at school and with the world at his feet, it is no surprise that he wants to set out on his own but he remains boyish in many other ways. Nowhere is this conflict more acutely displayed than at the Punch and Judy show where he and René discuss their ‘heist’ and where the director shows how well he is able to express his personal warmth and childish sensibility as a gifted filmmaker. This scene (above) is one of the most delightful, and heartbreaking, of any I can name. Cuts flip between the drama of the puppets to the natural reactions of the engrossed youthful crowd. The conversation between René and Antoine, both engaged and enjoying the show, interjects as they offhandedly discuss stealing a typewriter from the latter’s step-father’s office to fund their future enterprises. This is not two bank robbers organising their next bit of work over a game of poker, but two boys, discarded by their respective parents, discussing how to make some money whilst on the run. The warmth of this scene, tinged with such sadness, speaks to the tone of the entire film. The theft and attempted pawning of the typewriter is a bridge too far for Antoine’s parents. You may well wonder why Truffaut chose such a cumbersome article – the reason for it being that this event is based on personal experience of the director’s. Likewise, just as he was sent to Villejuif Young Offenders, Antoine is signed over to the state and sent to a similar institution to be straightened out. The psychiatric review that Antoine undergoes is the most naturalistic and fresh sequence of the film. Truffaut posed the questions directly to Léaud and invited him to improvise, in character, before dubbing in the female voice we hear afterwards. His magnificent reactions and responses to what he is asked informs a great deal of what has formed him as a character and prompts us to reflect on all that we have seen up to this point. The glint in his eye and his cheeky smile when asked whether he has ever slept with a girl is one of my favourite moments in all film. An extended tracking shot follows Antoine’s escape. As we witness throughout, enclosed spaces are to be escaped if you are Antoine Doinel and a youth detention centre near the seaside is no different. His flight is tracked from left to right, towards his future, until he comes to a beach and then the water. The first time he has seen the sea, and a feat he had to achieve on his own. The ambiguity of the final freeze frame leaves the conclusion open to interpretation. Antoine is caught between the past and the future, childhood and adulthood, restriction and freedom, land and sea; but one thing is clear – his spirit will never be broken. Posted in Classics, French Film and tagged Albert Rémy, Claire Maurier, François Truffaut, Jean-Pierre Léaud, La Nouvelle Vague, Les 400 Coups, Patrick Auffay, The 400 Blows, The New Wave. Bookmark the permalink.